When Sir Alex Ferguson left Manchester United, not only did the club lose a great manager but they effectively lost a director of football too. Such was the aura of the Scot that he could take care of the team, recruitment and the football philosophy of the club, leading to a style and success that has been sorely missing since. Part of that has been down to the managerial appointments after Ferguson’s departure, but the club have also admitted they need a director of football to get back on track. They hope the appointment will improve links from the boardroom to the first team, which became convoluted and reached breaking point when Jose Mourinho was manager. A director of football should also ensure the club maintains their core values of attacking football and developing young players. Former Tottenham and Southampton head of recruitment Paul Mitchell is being linked with the position but what does the role entail and why is the 37-year-old an ideal candidate? What does a director of football do? In appointing their first director of football, Manchester United will be following many other clubs who have done the same, including neighbours and Premier League champions Manchester City. In 2012, City appointed former Barcelona technical director Txiki Begiristain as their director of football, paving the way for them to secure Pep Guardiola as manager in 2016. But a head coach-director of football structure is more common among continental European clubs than in British ones, who tend to favour a manager that traditionally has covered both roles. Directors of football look after all football operations in clubs, says Les Reed, who, as head of football development, worked with Mauricio Pochettino and Mitchell at Southampton. “That can be recruitment, which takes up most of your time, contract negotiation, player development, the development of all teams from the academy through to the first-team squad, and being responsible for the manager. Effectively, they are in place to consider the medium to longer term and maintain a playing philosophy, while the manager or head coach deals with day-to-day operations. Begiristain told the BBC in September: “I have to work for the next two seasons. You have to understand who wants to move, who wants to stay and what the risk is of losing players. Former Tottenham director of football and Liverpool director of football strategy Damien Comolli has said it gives a “competitive advantage” to clubs because it allows more “objective” decisions to be made. Celtic and former Liverpool boss Brendan Rodgers said in 2017: “It’s always been a wee bit more difficult to implement in Britain, purely because the notion here is that the manager is the one who has the eye for the players and can manage the players. Is Paul Mitchell the man to fill the role at United? Mitchell is a name which keeps cropping up, with some sources considering him an “outstanding fit” for United. The 37-year-old, who is Manchester born, is currently head of recruitment and development for Bundesliga side RB Leipzig. He has previously worked at Southampton and Spurs alongside Pochettino, who is being tipped for the United manager’s job by former captain Gary Neville. There are some who feel that getting Mitchell in place may be a way to lure Pochettino to Old Trafford after Ole Gunnar Solskjaer’s caretaker manager stint. Neville says Pochettino would be the “ideal candidate” to meet his three key principles of promoting youth, playing entertaining football and winning football matches. And Mitchell has played a key part in helping the Argentine produce hard-working, attacking and youthful teams while at Saints and Spurs, according to those who know him well. Renowned for his furious work ethic, Mitchell is credited with recruiting the likes of Sadio Mane, Graziano Pelle and Dusan Tadic at Southampton, plus Toby Alderweireld, Dele Alli and Kieran Trippier at Spurs. But it was Alli’s move from League One MK Dons where he really earned Pochettino’s trust. Former MK Dons player Mitchell went to great lengths to convince the Spurs boss that Alli could make the jump to the Premier League and then took the player under his wing to ensure the then 19-year-old felt settled after moving to London. That episode underlined a key aspect which will interest United fans: his willingness to promote young players. It is said that if Mitchell is confident of a promising prospect coming through a club’s academy, he won’t sign an established player to potentially block their route to the first team. Although he was a popular player during his time at MK Dons, Mitchell is also ruthless when he needs to be and knows his own value. When Tottenham decided on a different style of recruitment, Mitchell had no hesitation in walking away, and has had plenty of offers from top clubs since. His close bond with Pochettino remained intact. The only question mark may be over whether United want a director of football who has a wider range of skills. What benefit will a director of football provide at United? Mourinho’s complaints about the lack of defenders signed last summer might have been assuaged by having a director of football in place. A director of football, in theory, should ensure that the right kind of player would be signed for Manchester United, rather than one only preferred by the current manager. Former United boss Louis van Gaal spent £44.8m on Daley Blind and Memphis Depay, but they were offloaded by Mourinho. And what of injured forward Alexis Sanchez, who earns a reported £350,000 a week, plus defender Eric Bailly (£30m) and Victor Lindelof (£31m), all signed by Mourinho? A new appointment would also ensure that whoever the new manager is, he will have someone to guide him. That was even the case when Ferguson was in charge. 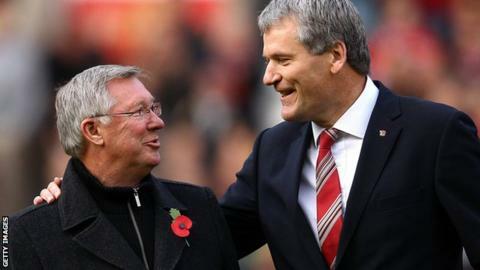 Chief executive David Gill was the man to provide a hand on the Scot’s shoulder when he needed it. In admitting they need a link between the new manager and executive vice-chairman Ed Woodward, the club have at least identified there is an issue that needs resolving. Some fans might say it’s a shame it took nearly five years and three managers to realise it was impossible for one man to replace Ferguson on his own.